Get the value you deserve for your scrap car. Contact Cash for Cars Adelaide for a free scrap car removal and cash to boot! We are your local car removal company in Adelaide, SA that provides scrap car services like removals and recycling for free. At Cash for Cars Adelaide, you have scrap car services at your disposal. We are Scrap Car Buyers that pay cash for scrap cars and come to the locations of our customers to buy & remove the cars. With us, you don’t have the hassles of prepping the cars. The tyres can stay in the car, or maybe they are already off. The liquids don’t need to be drained. Perhaps, your scrap car is so deteriorated, the engine dropped out years ago. No worries. We are a scrap car removal company that guarantees no hassles. There is no preparing the car to have us accept it; and, we’ll buy it whether it is a bare shell, or there are still a few good parts under the hood. When we buy your car, you have a Scrap Car Removal Company in Adelaide that offers fast and convenient scrap car removals that are hassle-free. What better way to have your car removed than to be left with a cash payment? One that leaves you counting as much as few thousand dollars? 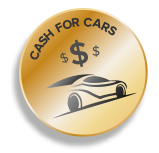 Our top cash payment at Cash for Cars Adelaide is $9,999. While that is an awful lot of money for a scrap car, a reasonable price for the car is not! We make fair cash offers ranging from a hundred or two hundred dollars to thousands of dollars for scrap cars. Why pay for car recycling when you have to go to the hassles of preparing the car yourself and towing it to the recycling centre. Cash for Cars Adelaide offers free scrap car recycling that pays cash on the spot. We don’t require that you do anything but clean out your personal belongings of the car, and have it parked in an area that our removal technicians can access with their trucks. When we remove your scrap car, you get free removals and free recycling. Our recycling standards are the best there are as we practise green auto recycling, taking scrap cars and getting the maximum value for the cars. When you choose Cash for Cars Adelaide, you have a scrap car buyer & recycler that pays good cash for scrap cars. We know how to recycle cars, and have the men and trucks to quickly remove the cars, so our customers don’t have to wait to get cash payments in their hands. We provide same day scrap car removals Adelaide, SA that leave them counting up to $9,999 cash. Cash for Cars Adelaide is a company that consists of a team of hand-selected professionals that offer superb services. We provide the ease of obtaining quotes over the phone and online and coming to the locations of our customers in Adelaide, SA to remove their scrap cars as a courtesy. 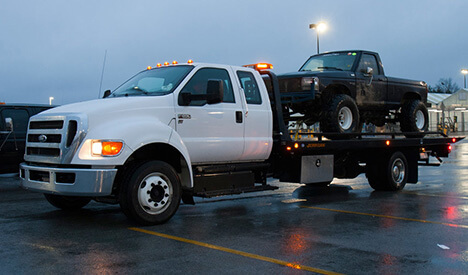 When we are your scrap car buyer, you don’t have any hassles or concerns. We are a legitimate buyer. To obtain a cash quote, contact Cash for Cars Adelaide at the number below, or fill out our "Get a Quote" form at the top right of this page. We assure to buy your scrap car for cash.